Hotel Arboleda offers luggage storage and free parking. This hostel proudly features a pets welcome policy. The hostel also offers guests the added convenience of a Wi-Fi connection. The hostel's garden is a peaceful spot to sit, rest and relax. Fun waterfront activities are available to the hostel. 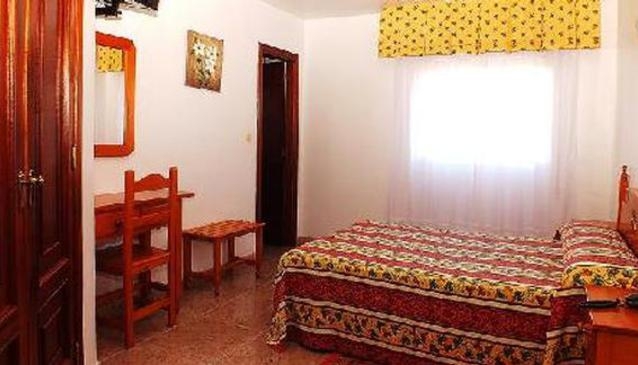 A TV and cable / satellite channels are included in each room. Each room is equipped to make your stay comfortable and includes complimentary toiletries and a private bathroom. The bathrooms include towels, a separate bath and a shower. The Hotel Arboleda's staff will be able to book tours and sightseeing in Sanxenxo as well as give restaurant recommendations. The centre of Sanxenxo is 20 minutes away by car. Peinador Airport in Vigo is a 60 minute drive away.